You are here: Home / Creative / Learn about DIY Textile Dyeing – Indigo & Shibori Style! 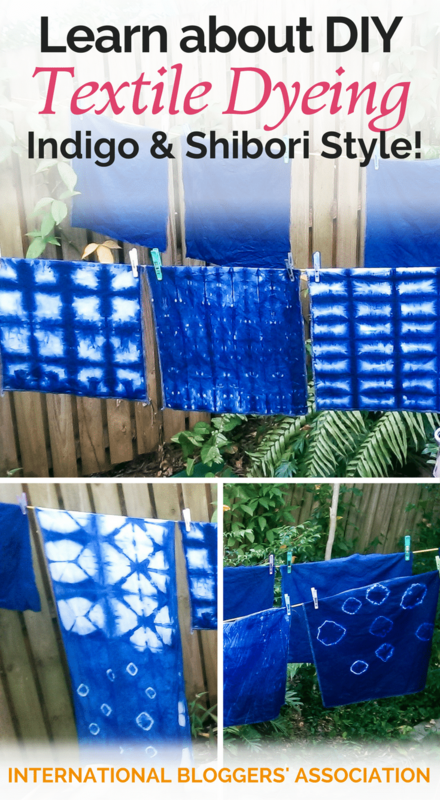 Indigo and Shibori DIY textile dyeing are a beautiful craft. This is my first time learning about it, and the results are amazing! 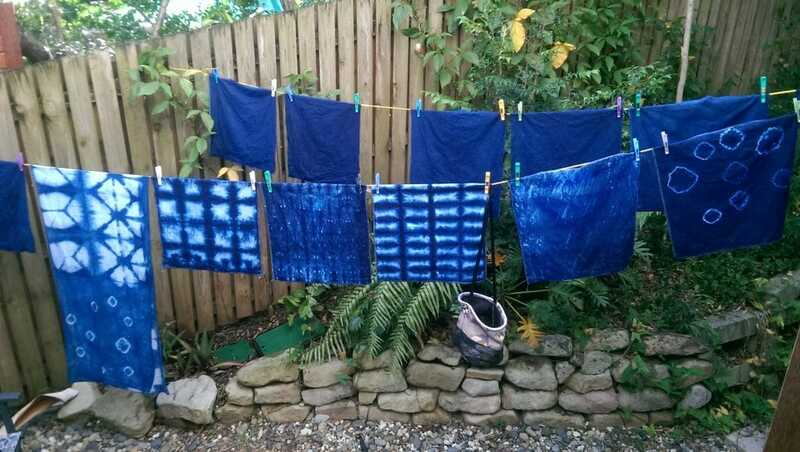 I have discovered a new love – Indigo and Shibori DIY textile dyeing! 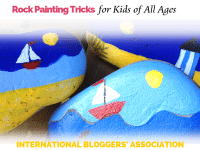 It is actually not that new as I have been dabbling with fabric since I was a teenager… As I am a little blinded by my newly found enthusiasm, I am using Indigo and Shibori for my 52-week blog challenge. Not exactly an ‘up-cycle or upgrade’ project, although with a bit of imagination you could consider the change from white linen to indigo some kind of upgrade or at least change! My mum made a lot of my clothes, and up to a certain age she got it right, then she missed the latest trend – hipsters! Instead, she made corduroy pants that reached all the way up to my ribs. On New Year’s Eve, I still remember adjusting the piece so that you could see my belly button. My mum examined my work and announced that her dress-making activities for my benefit was done and dusted. We have fantastic fabric markets in Holland, and I lived 4 years in a town called Apeldoorn that had a Monday morning fabric market that attracted stall holders and visitors from far. Every Monday morning I had to ‘fight the fight’ to go either to Uni or visit the market. If the market won, I felt obliged to make something out of the fabric I had bought that day. A successful production line of Indigo dyed pieces of linen for cushions, napkins, and scarves. 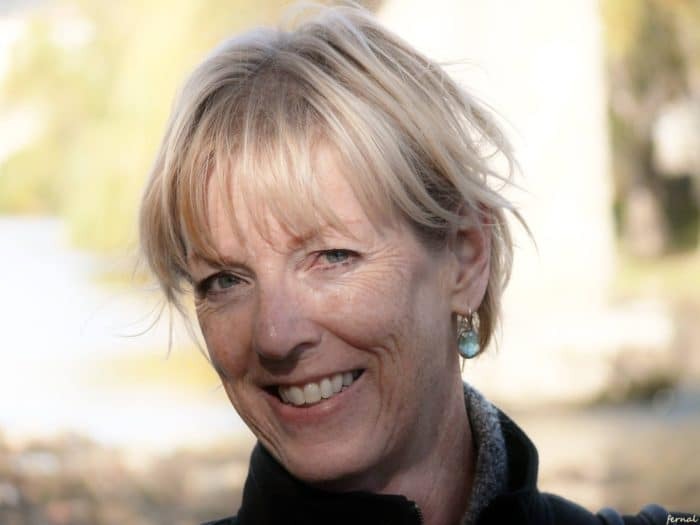 I had a stint of 2 years at a Dutch Art School where I learned some printing techniques for fabric and dyed India cotton with tea bags, and on Bali, I was introduced to Batik. Now decades later I have discovered Indigo and Shibori fabric dyeing. It seems that my old ‘love’ is reviving. 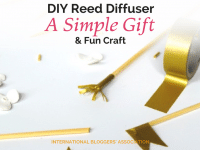 I like natural things and therefore love natural dyes. We traveled in Indonesia years ago, and I bought several Sumba sarongs. They are dyed with colors that are available in nature, very similar to the paints Aboriginals use for their paintings. 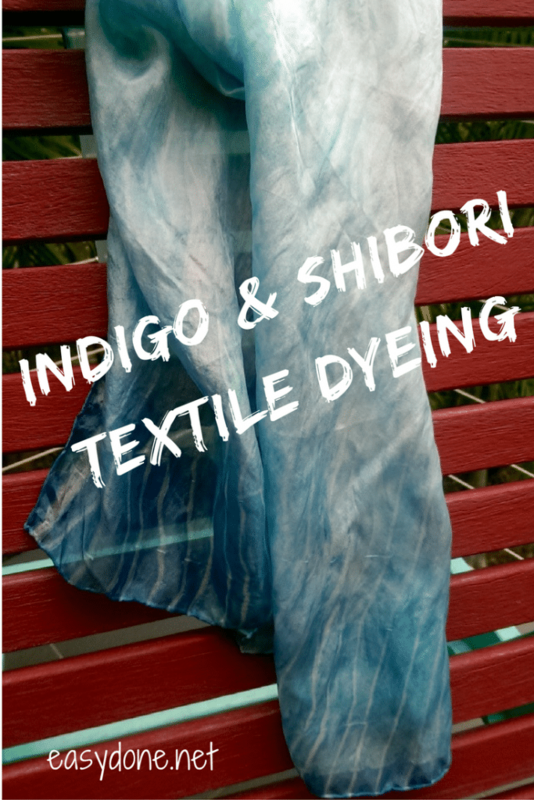 What is Indigo and Shibori DIY Textile Dyeing? It never occurred to me that Indigo would be a natural color. It comes from the Indigofera plant, and the indigo powder was used for centuries to give fabrics that deep blue color. The plant grows in India, Vietnam, Africa, and South America. Indigo only dyes natural fabrics. 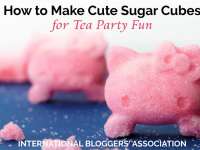 Think of cotton, linen, hemp, viscose, rayon, wool, and silk. It won’t work on synthetics and polyesters. Shibori is a traditional Japanese tie-dyeing technique that dates back to the 8th century. It can involve folding, stitching, binding, rolling, twisting, and knotting fabric in different patterns. Traditionally the Japanese used indigo dye for Shibori, but the techniques are also effective with different dyes. 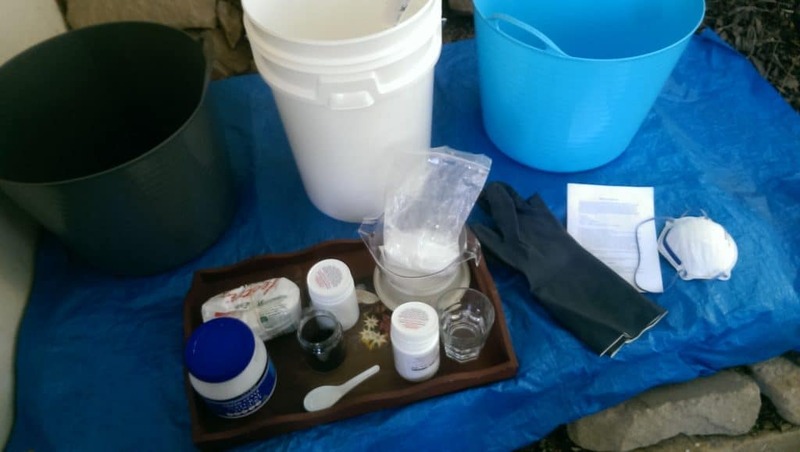 Preparing my Indigo dye vat with all ingredients and utensils needed. This weekend I have made my first Indigo vat. I felt a bit like a chemist or Brian Cranston of Breaking Bad. You need some chemical substances to create the vat. Some are caustic, and I would recommend using gloves, a mask, and goggles. 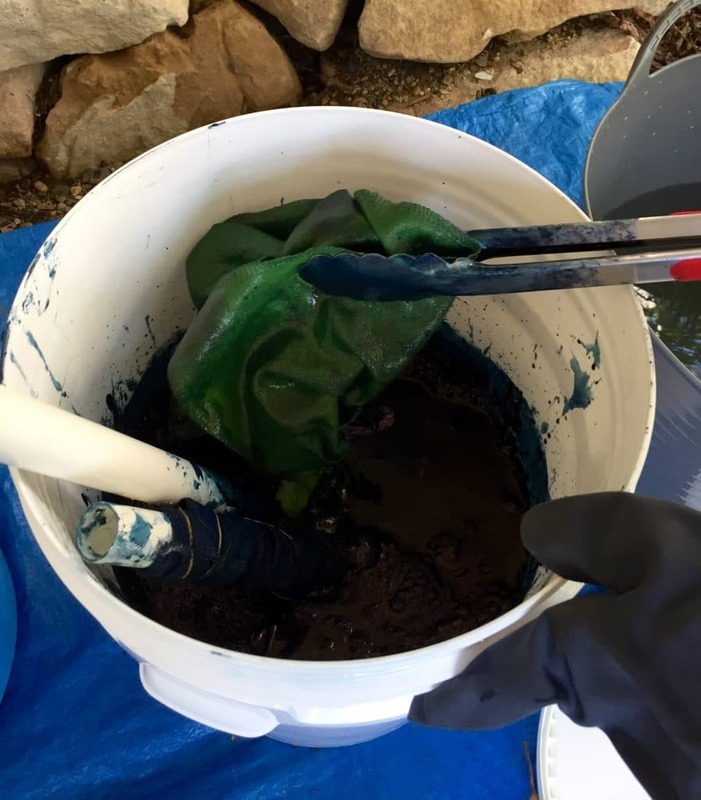 The amazing thing is that despite the deep blue color of the indigo powder, the dye vat won’t produce blue fabric until you expose it to oxygen. So when you take out your tied, twisted or knotted pieces, they are actually green. As soon as you expose them to oxygen, they turn blue. I have so far created some Indigo pieces, and I am ready to get the over-lock and sewing machines into gear. On the menu are cushions, napkins, scarves and maybe a couple of sarongs. They will be available on my first ever Christmas market in December and in my Etsy shop later on. I feel excited about my new venture into Indigo and Shibori DIY textile dyeing, and I am willing to accept blue hands for time to come. Combined with the remnants of gardening that I do 5 days per week, I can assure you that my hands ain’t glamorous.